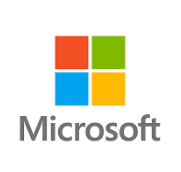 I recently worked through a security issue with my Microsoft account and am now sharing this story and information that might be useful to others. Also, by writing a blog post I have an easy record of the issue for when I need to recall the details later. I conclude that the security features worked as intended. I used the “Review recent activity” tool. It told me that the Microsoft account was attempting to sync but did not indicate which device caused the issue. The “Location” field did not have any useful information. But the IP address was provided so I used iplocation.net to track the location. It said the sync was being attempted from Great Britain. Could my iPad be in Great Britain? Or was the data an error? (I am inclined to doubt the reliability of the location information). I considered adding two step verification but opted to simply change the account password instead. I use random machine generated long passwords using a combination of letters numbers and symbols. There is no indication that my account was compromised. There does seem to be evidence that one of my devices is attempting to sync from an unusual location. I will continue to monitor the account for other issues.